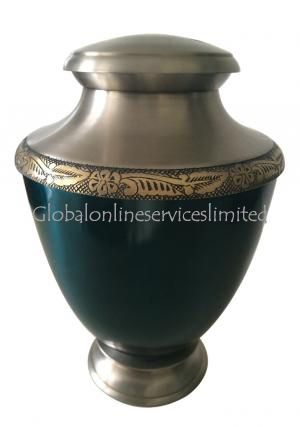 The Blue Finish Antique Hand Engrave Border Adult Urn is around 1.9 kilograms in weight and its dimensions are Height:10", Diameter:21", Base-Width:4", Cap Width:5". 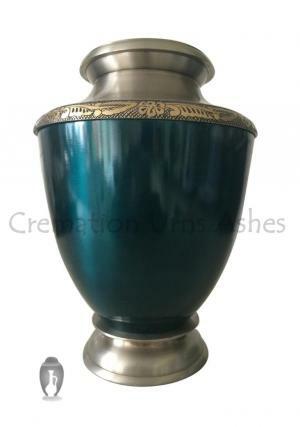 This urn has a blue finishing, and has a unique engraving on the border of the urn, which has been done by hand, thereby making it quite different from that other types of urns that are available in the market. 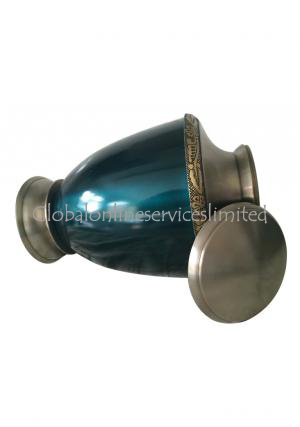 It is made of brass, and is a cylindrical urn that opens at the top. 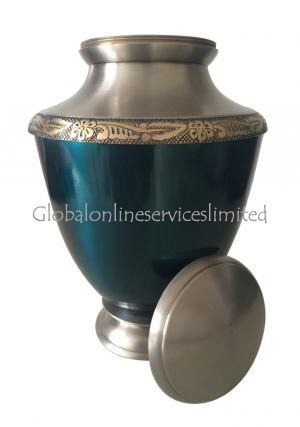 It has a threaded rim, which allows a more specific closing mechanism, ensuring that the urn is completely closed at all times. While the entire body is bluish in color, the tips at both the ends are golden. The dark blue coloring gives it a bolder outlook, and creates a unique aura. 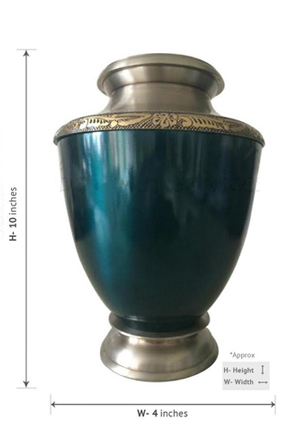 This bigger urn is better set for the ashes of an adult. Families and individuals generally use urns to create a memory of their dead ones who are either cremated or burned. These urns house the final remnants of their loved ones.